The Painted Hills in Eastern Oregon is quite possibly one of the most beautiful places I have ever been! 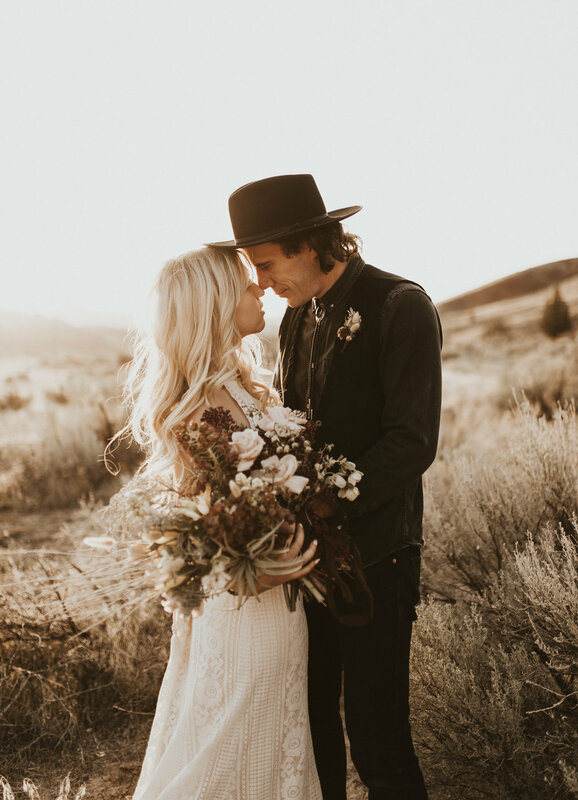 Combine the beauty of the desert landscape with the sweetest couple + magic was definitely made. 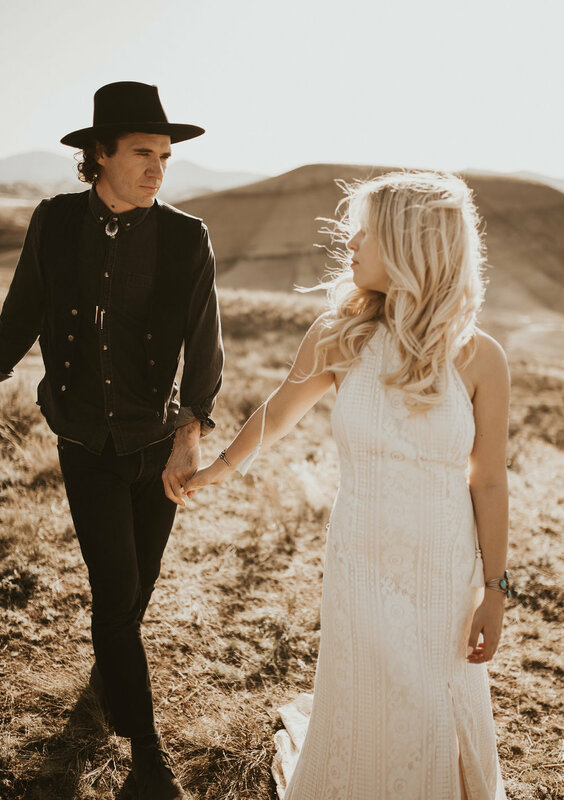 Charlotte and James are two old souls who found each other serendipitously - first meeting at a Western Vintage store which is super fitting, considering they are two of the most stylish people EVER. When I look through these photos, I see a passionate and soulful love. I am so grateful to have been a part of this love story & I cannot wait to see what the future holds for these two!